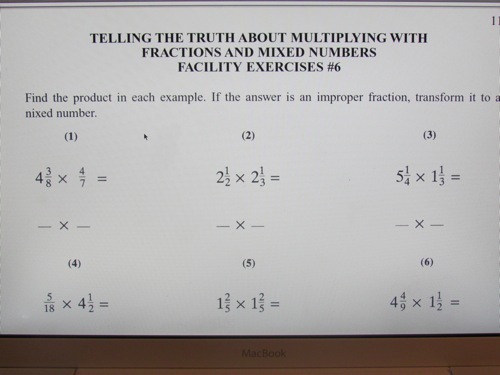 We were recently given the opportunity to review Professor B Math. 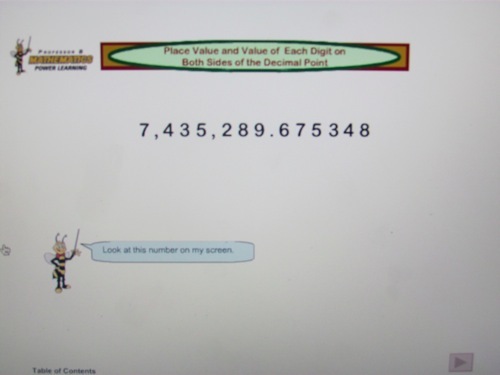 This math program is computer-based with worksheets to print out for practice after a lesson has been worked through on the computer. It is a somewhat unique approach to learning math. 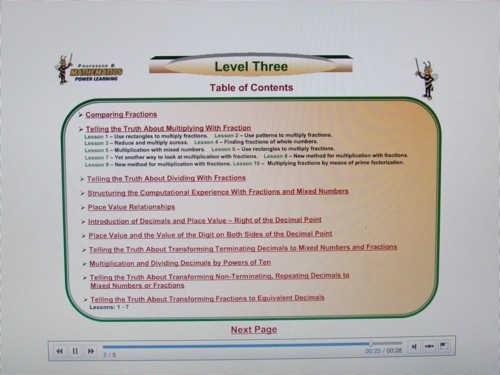 Our program, “Mathematics Power Learning,” has thoroughly structured the content of arithmetic as a developmental, contextual flow (like a story). This allows children’s minds to assimilate its content more quickly (in the same natural way they assimilate stories rapidly) without any gaps in their knowledge. This program is meant to be used with the teacher sitting down together with the student and reading/working through the lessons. The thing about it is that you (homeschool teacher) do not have to be great at math! Professor B does the work of explanation and example. So, for example, if you purchased two levels at once, your cost would be $35.00 per month.